(il There is the forced saving mechanism of inflation, Rising prices due to inflation lower rwagesand tend 10 increase profits when wages lag behind. Similarly. the real income of the farmer falls. In this way. income is transferred from those who have lower propensity to save to those whose propensity to save is higher. insulation acts as a disguised taxation. ‘Inflationary tax’-:On consumers and savers works to the advantage of investors and the government. where the government acquires in this way real resources for development, people are forced to save. 11is a hidden tax and evokes no opposition and the government is able to raise resources for development easily. This is its chief merit. In the under-developed countries, the growth process is hampered by the existence of several rigidities and immobilities. Rise in prices and wages compel the workers to move from the traditional subsistence sector to the expanding industrial sector. 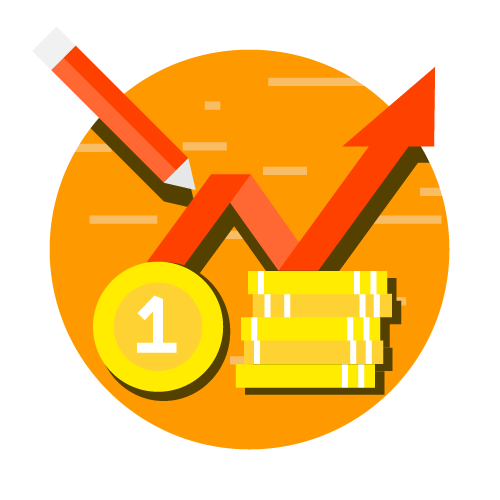 In this way, labour and other resources tend to be optimally allocated and more fully utilised so that economic growth is promoted. There is no fear of agricultural production falling as a result of the movement of these workers because their marginal I’~ductivity there was zero or nearly zero. 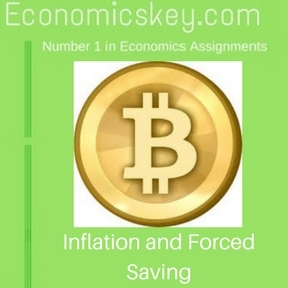 The advocates of inflationary finance contend that a moderate degree of inflation is the logical concomitant of efficient economic mobilisation. But care has to be taken that it remains moderate and docs not become hyper-inflation. Such inflation COlli he ‘selfliquidating as Prof. A. Lewis puts it. It will lead increase in the output of consumer goods and bn.ng down the pri.c. es. In this way influence will disappear. On the other hand, spiralling inflation .has.a tendency to go out of control. Organised labour Will protect itself’ by adopting militant measures and succeed in gelling wages and dearness allowances linked to the price index. Thc farmers clamour fur higher prices of their produce and succeed in getting them. As inflation proceeds, commodities are preferred money in <Ill effort to evade the inflation tax. All such developments introduce serious distortions in resource allocation which more than offset the earlier gains. The method of inflationary finance is considered wasteful as a method of raising thc rate of saving. The net incrcave in saving is generally less than thc decline in consumption. Those who are hit by inflation arc forced to lower their consumption.